The storyline went a little something like this: a handful of grade school students decided that they wanted to organize a talent show. Rehearsal started quickly, but was hastily halted when the students realized that none of them had any talent. They ran straight to their teacher, who resembled wild-haired Dr. Emmett Brown from Back to the Future. The students confessed that they couldn’t sing, act, dance, or do anything they’d need for the big show. He nodded, gave an I-know-just-the-thing stare, and went rummaging. Rather than producing in a plutonium-powered time machine, the professor rolled over a contraption that was a bit more cumbersome. After each student entered the mechanism, out emerged a singing and dancing child actor. But these new triple threats weren’t borne of magic; they were products of the talent machine. That’s how The Talent Machine Company was born. After Bobbi Smith and three of her students from Annapolis Summer Garden Theatre wrote a play based on that storyline in 1987, it inspired her to create a nonprofit that provided high-quality singing, dancing, and acting education to children within the community. 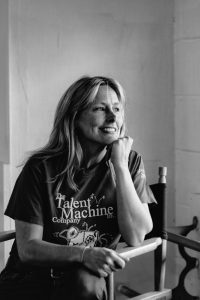 Smith saw the spark in the kids she worked with, and crafted The Talent Machine to be a professional theater that had its audience forgetting that they were watching children as young as seven. Smith’s high standards meant that jaw-dropping talent wasn’t going to come as easily as it did for the students in that play. For auditions, children performed not only their prepared songs, but also a dance routine that they were taught that same day. They made the cut if Smith, the director, the choreographer, and the music director were all in agreement. She made it clear that no one, not even a returning student, was a shoo-in. Starting with the first audition held in 1988, The Talent Machine began generating three full stage productions a year and an Easter breakfast production. 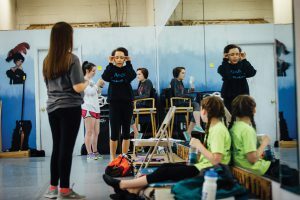 Auditions and rehearsals were held in constant rotation throughout the year to also accommodate two summer shows—one youth and one teen—and a big Christmas production. Every weekend, starting three months before opening night, the company rehearsed in a small space called Stageworks that Smith owned and rented out to other theatres during the week. The Talent Machine never stopped running, even when Smith suddenly passed away in 2001 and left the kids at the company and at Stageworks in a panic. Without hesitation, Smith’s daughter, Lea Capps, and sister, Vickie Smith, divvied up the work. While Capps grew up in theatre, she never thought that she would run The Talent Machine. She recalls her mother asking if she’d ever thought about taking over the company, and responding by spouting off a quick “No way.” Fifteen years later, she’s still in charge and keeping Smith’s spirit alive. From the high expectations placed on each actor to the energy circles in which the kids chant before each show, Smith is still inspiring the youth. Recognizing that young minds are malleable, the company intertwines life lessons, public speaking, and responsibility throughout each show season. The positive impact on the children is impressive, especially considering the small staff that runs such a big operation. Most of the non-management tasks, including running the light and sound boards, designing and creating costumes and sets, collecting tickets, running the concession stand, and whatever else is needed to make sure the show goes on, are handled by volunteers. The theatre, with sixty or more seven- to eighteen-year-olds, transfers its show to the stage in Francis Scott Key Auditorium at St. John’s College one week before the curtain rises. 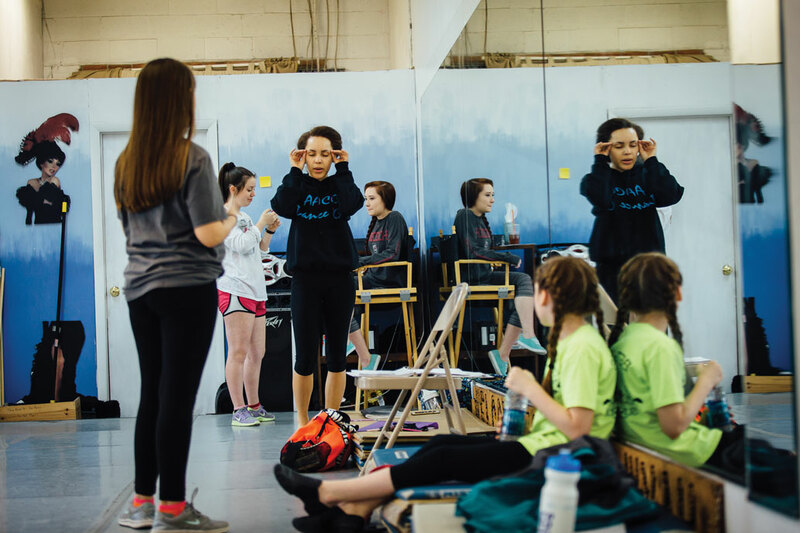 Volunteers—often parents, aunts, uncles, brothers, and sisters of the company’s performers—help transport set materials and get the children there every day for rehearsal. Without them, The Talent Machine would be out of commission. Many volunteers continue to help years after their relatives have grown up. It’s an organization that welcomes everyone; once a Talent Machiner, always a Talent Machiner. Smith wanted a professional theater within a community setting, and she achieved her goal, also making a community of her own. Error: Error validating access token: Session has expired on Saturday, 09-Mar-19 15:57:50 PST. The current time is Friday, 19-Apr-19 11:34:04 PDT.